Witch | Home Studio, Inc. 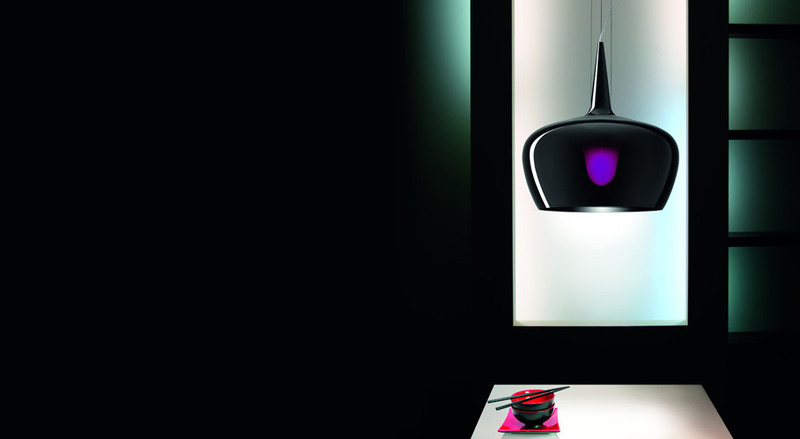 Suspension of blown glass in the following colours: transparent black, mirrored crystal, white or gray. 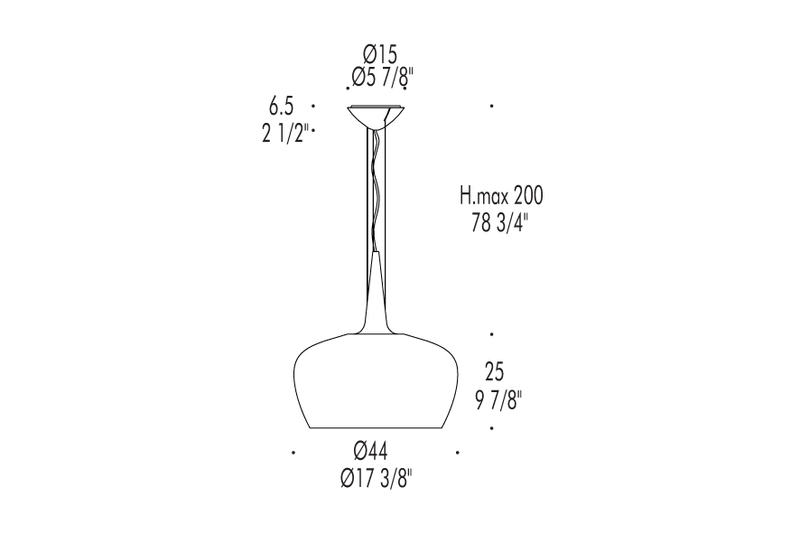 Structure of black painted metal on black glass and chrome plated metal on the mirrored, white and grey diffuser versions. White painted metal canopy.